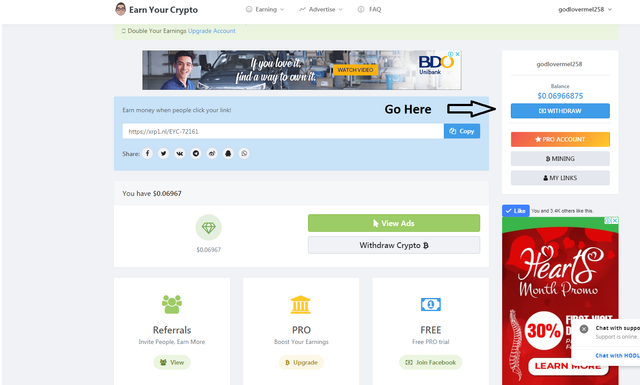 Today, I will show to you on how to withdraw your earned XRP on Crypto.Ad and Earn Your Crypto Accounts and all this XRP are earned for free. 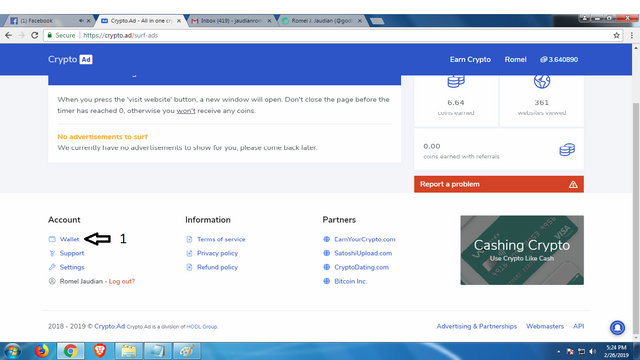 Here are the easiest way to follow in order to withdraw and please follow based on the pictures you've seen. 3. 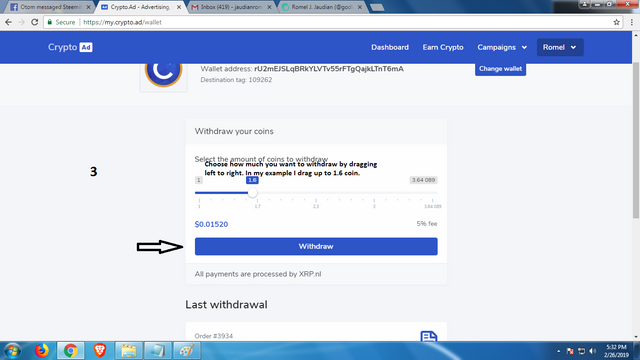 Choose how much you want to withdraw. 4. After withdrawal this message will appear. 5. 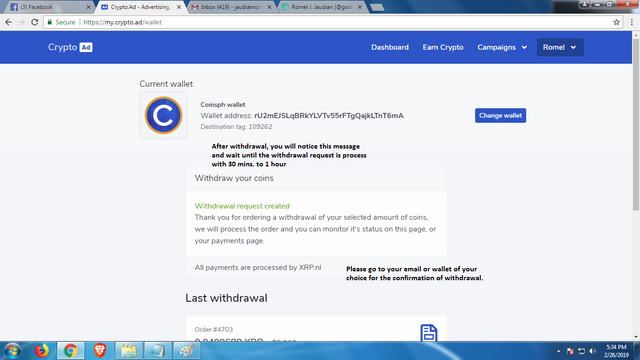 Wait for the confirmation of withdrawal on your email. 3. 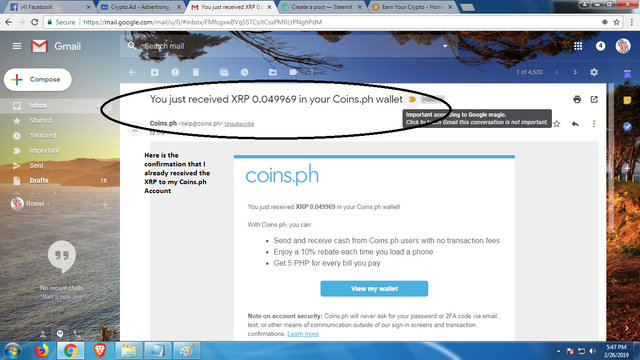 Type how much to withdraw. 4. 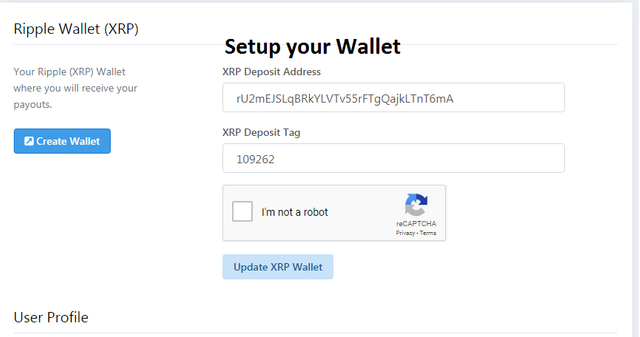 Withdrawal Request is now being processed. 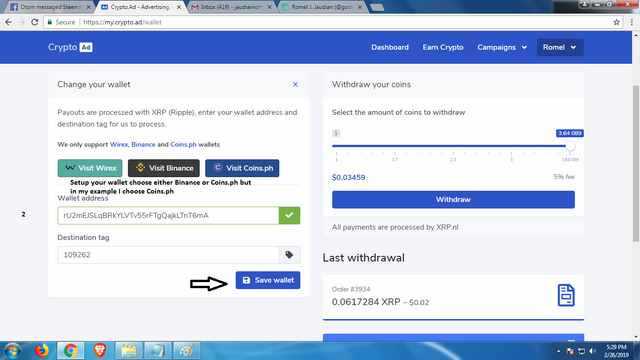 I hope this step by step process on how to withdraw your earned XRP on this two website will help you.